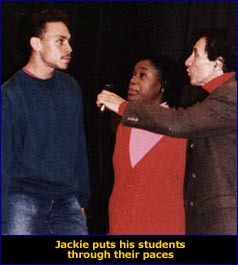 Jackie's method was best summed up in something he himself said: "Love for the music is the most important thing I can give the student. Of course I show the students how get swinging and to improve their pitch and phrasing, etc.  but lots of people can show them that. What I do thats special is to show the students how to get inside of the song and make the emotional truths of it come alive."